Widely liked and highly regarded, Sir Arthur Desmond Watts KCMG QC, barrister and international arbitrator, was among the leading international lawyers of his generation. Born in London, he went to Downing College, Cambridge, to read economics and then law, finding a particular passion for its international dimension. With firsts in the law tripos and the LLM, he won the Whewell Scholarship and joined the Foreign Office. He was posted to Cairo in the aftermath of the Suez crisis and later to Bonn, from where he returned for an assignment as the principal adviser to the Law Officers on international law. Sir Arthur was closely involved in preparations for Britain's entry into the European Community, and became the first legal adviser to the UK's representation in Brussels. Back in the Foreign and Commonwealth Office he was appointed CMG and led for the UK in negotiations over Antarctica before serving as the FCO Legal Adviser from 1987 to 1991. Sir Arthur took silk in 1988 and was appointed KCMG the following year. After retiring from the Diplomatic Service in 1991 he was made a Bencher of Gray's Inn and Honorary Fellow of Downing College. In his legal practice at 20 Essex Street Chambers, Sir Arthur's advice was sought by many States including Brunei, Colombia, France, Jordan, Liechtenstein, Nigeria, Slovakia and Ukraine. He was much in demand as an international arbitrator, both in proceedings between States and in investment disputes, and as an advocate before the International Court of Justice. He also undertook the difficult assignment for the UN to bring about a settlement over the assets and liabilities of the former Yugoslavia. In addition, Sir Arthur made many important contributions to legal literature on international law. 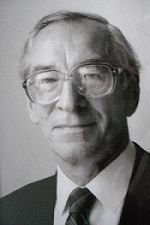 A long-standing and eminent member of the British Institute of International and Comparative Law, Sir Arthur served on its Council of Management (1987-2005) and then its Advisory Council. To learn more about Sir Arthur Watts' illustrious career in private practice after his retirement from the FCO please view his selected oral pleadings before the International Court of Justice and his bibliography which spans his entire career. If you would like to read about one of the most unusual and almost certainly the most southerly game of cricket organized by Sir Arthur Watts, please click here. "Public international lawyer biography | BIICL"